This one goes well with the banner, but the colouring still makes it slightly different enough that it doesn't blend in completely. Do you think Bella and Edward are ment to be together? Do you think Jacob will come back in the 4th book? Are you excited to read Midnight Sun? 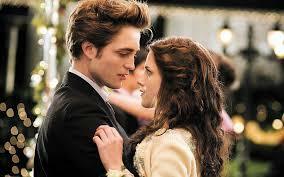 Do you think that Edward and Bella's love was predestined or just luck?